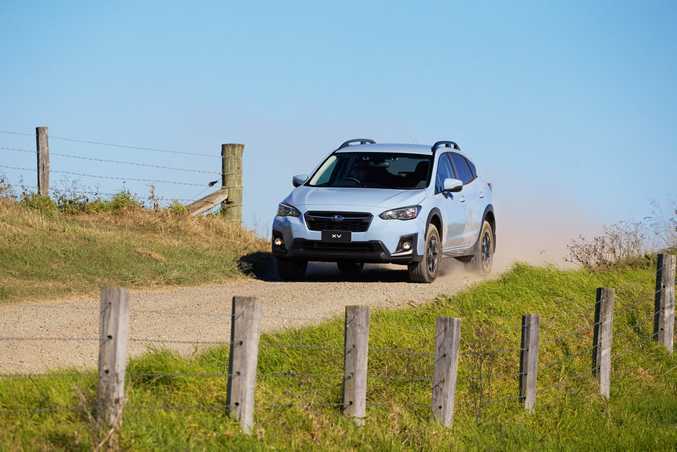 OFF THE BEATEN TRACK: The new MY18 Subaru XV offers a Toyota Prado-matching 220mm of ground clearance plus a smart X-Mode for traction on slippery surfaces. It starts from $27,990 before on-roads. The good: Stylish, good off-road credentials with smart all-wheel drive and 220mm ground clearance, much-improved interior, safety tech, brilliant chassis. The not so good: Engine lacks any pleasing grunt, CVT auto is your only gearbox option, boot space not huge. ARE you that guy in the television adverts? 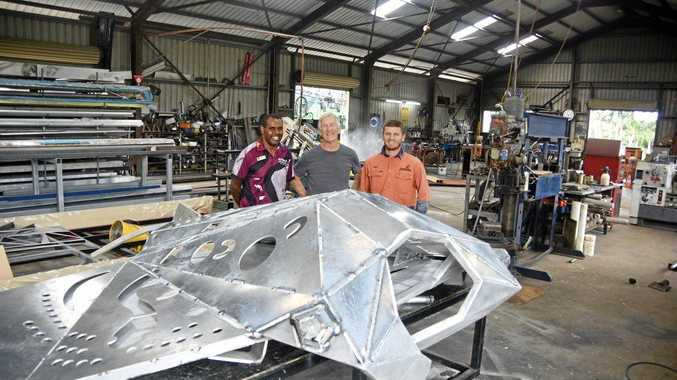 You know, the one effortlessly transitioning between city life and action-packed bush adventures in the SUV? There's your gorgeous, giggly partner and/or mates, splashy river crossings, bikes on the roof and a perfect sunset over the mountain to finish, all set to a cool soundtrack. If that is you, we normal folk with desk jobs and young kids hate you. We don't need all that fancy adventurey stuff from our SUVs. The wildest we get is mounting the kerb outside the school gates or hunting out the occasional puddle after a wet weekend. Hence the proliferation of "soft roaders". SUVs that have the look of rugged adventurers but in reality focus heavily on cabin comfort and toys for the city snarl, have only two-wheel drive and the sort of ground clearance that sees you bottom out over speed humps. Yes, snigger at the nonsense of it all but we Aussies are buying soft roaders (or faux-wheel- drives) in the tens of thousands each year. We love the style, you see. We love people thinking we could be off being Bear Grylls next weekend. Let's not tarnish every small SUV as a charlatan though. 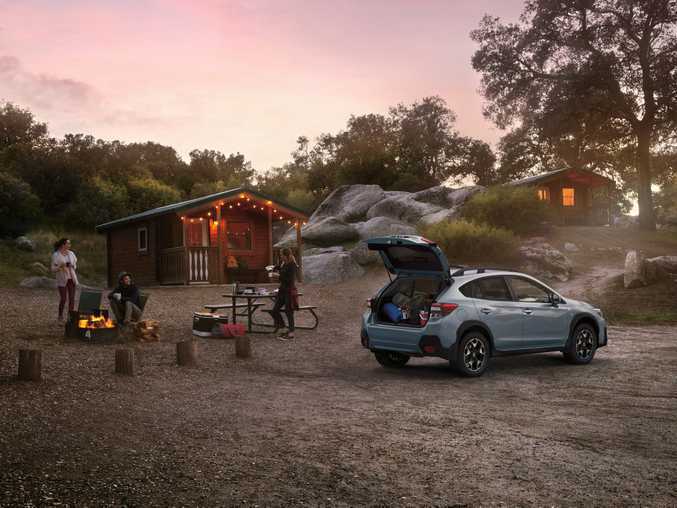 There are antidotes and Subaru's XV has the credentials to satisfy that advert guy and his perfect life of adventure. 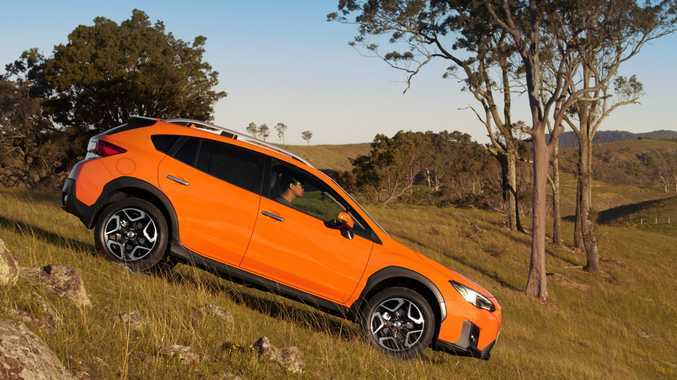 Here we have the new second-generation all-wheel-drive XV bringing a more stylish and better connected cabin than old, a safety boost, rock-solid handling and even more convincing off-road nous. 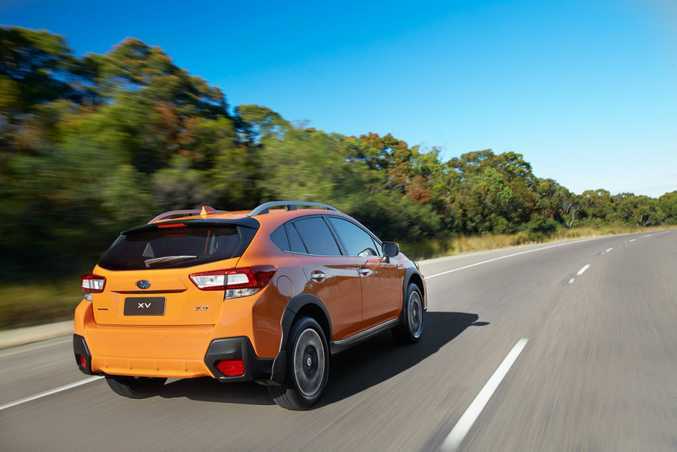 The XV also stands out with a distinct body style - at its best when dressed up in a (no extra charge) funky colour like orange or vibrant blue - emphasising distinctiveness and fun. This jacked-up Subaru with the resin wheel-arch mouldings offers an appreciated blend of style and genuine substance. There are four XV models on offer, each with full-time all-wheel drive and a smart X-Mode to aid traction on slippery surfaces. Ground clearance at 220mm is superb, eliminating the bottoming-out anxiety you get with most small SUVs. The new XVs come only with a 2.0-litre four-cylinder petrol engine mated to a CVT auto gearbox - no more manuals, I'm afraid, three-pedal fans - while Subaru's excellent EyeSight driver assistance safety gear is standard in all but the entry-level car. Upshot is if you want all this "genuine" SUV stuff you gotta pay for it. Prices start at $27,990 before on-roads for an XV 2.0i. Other small SUVs can be had for about the $20k mark (massive sellers Mazda CX-3 and Mitsubishi ASX, for example) but with these you're buying the style, not the ability. 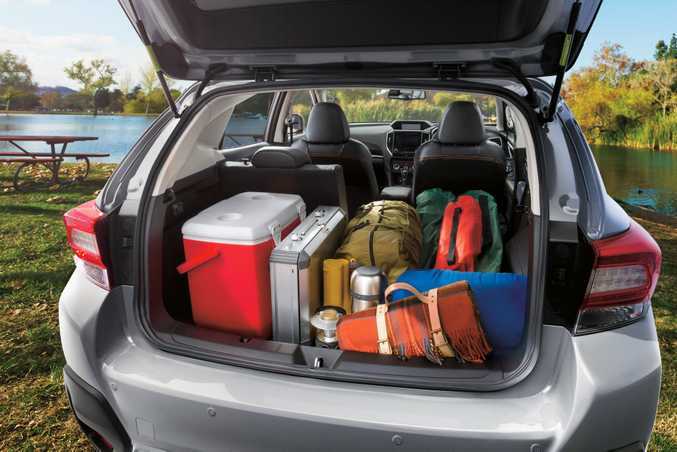 When Subaru launched its new Impreza model last year the leap in cabin comfort, style and functionality over before was mighty. The same applies to the new XV. 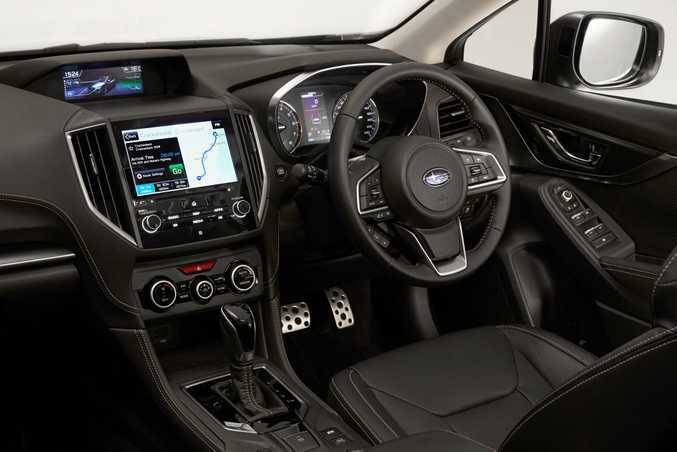 Even the cheapest entry-level model boasts a classy interior with robust cloth seats jazzed up with orange stitching, a 6.5-inch touch screen showing your Apple CarPlay or Android Auto smartphone connectivity, plus carbon fibre-style dash and door trims. The door arm rests, by the way, could rival a Bentley's for sink-in comfort. Price is pretty compelling for this entry-level model but aside from the above and 17-inch wheels, you miss out on plenty of goodies. I know it puts it over $30k before on-roads but the next model in line, the 2.0i-L, looks far better value for the extra $2500. 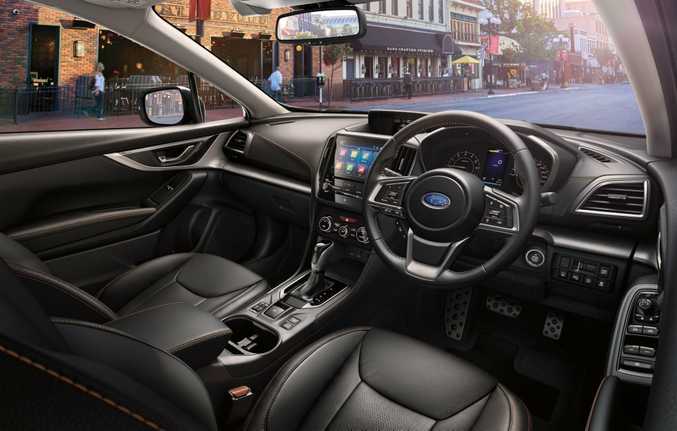 Your touchscreen becomes an eight-incher, cloth trim gets classier, you get dual-zone climate control, leather steering wheel and, of key note, Subaru's excellent EyeSight driver assistance safety system. This uses cameras to bring pre-collision braking, pedestrian avoidance, lane keep assist and adaptive cruise control. A 2.0i-Premium ($32,140) adds a sunroof and sat nav, while tree-topping 2.0-S ($35,240) adds heated leather seats, 18-inch wheels, more driver aids and auto lights and wipers. Rear seating is superb for a small SUV - head and leg room being plenty for at least two adults - but 310 litres of boot space isn't huge. This is the first SUV built on Subaru's new Global Platform, there to improve the cars' agility, crash protection, efficiency and driver reward. And they've done a great job. Agile enough around town, comfortable as a highway cruiser and impressively balanced in turns, the XV belies its high ride height well. On unsealed roads too it showed its class. It absorbed the bumps well and felt stable on loose surface bends. 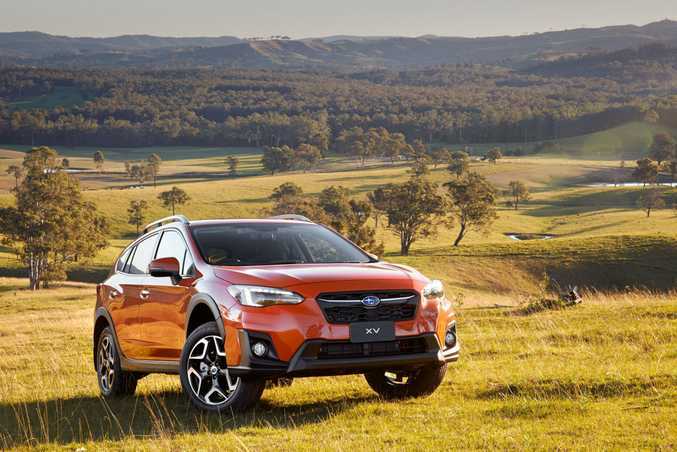 City slicker and country capable - these things are highly Aussie relevant. Just don't expect much joy from the engine. We're spoiled by modern turbo engines in small cars packing decent punch, so the non-turbo Subaru four-cylinder feels tardy by comparison, albeit smooth. The CVT gearbox is at its best at half throttle or pootling in town. Ask it for rapid response and you're kept waiting but at least steering wheel paddles give you some say in gear selection proceedings. Included on all XVs is an impressive X-Mode electrical system to reduce wheel slip on serious off-road tracks. It effortlessly managed some steep climbs and descents and, allied with the high ground clearance (the same as a Toyota Prado), this is truly no soft roader. 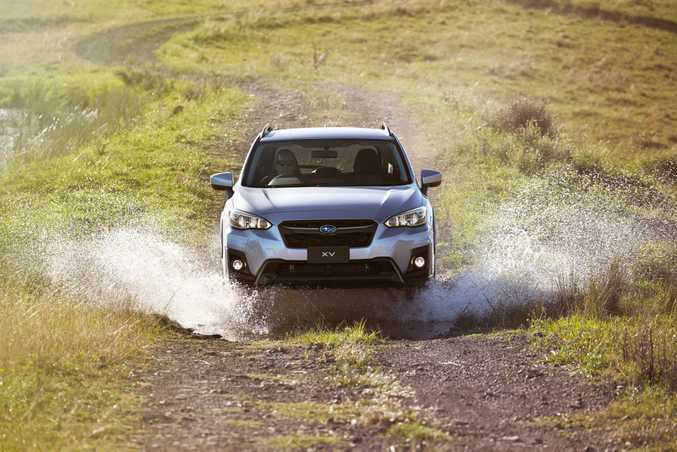 Rugged looks help the XV stand out in the popular small SUV class and the Subaru's genuine off-road ability sets it apart as the real SUV deal. It's not the cheapest as a result, and the engine lacks fizz, but the XV is a classy and solid offering, with a great cabin, safety tech and superb on- and off-road ride. Buy one in a bright colour and let the fun begin.